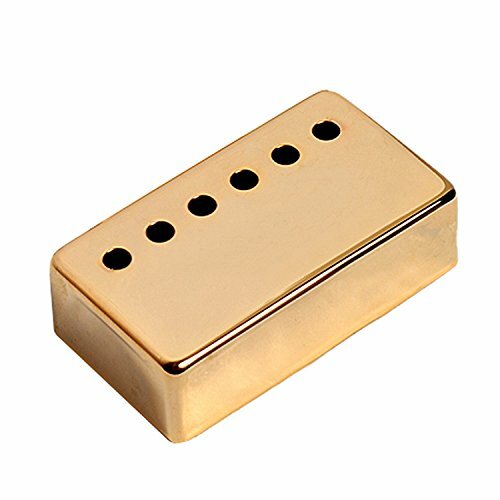 100% like the picture shown 100% Brand new Material: Metal Color: gold SIZE：( L )68 mm x ( W )39 mm Pole Spacing: 50mm 52 mm Package Include: 1 Pair Humbucker Pickup Covers We manufacture all kinds of instrument parts and conduct The direct model so that our price is very low with high quality. 100% high quality Item 100% like the picture shown These are excellent quality pickups. Compatible with GIBSON LP EPIPHONE guitars These are deigned to duplicate that classic warm sound yet they have slightly more output to give you a bit more crunch for the punch. These are triple wax dipped and vacuum sealed to eliminate any unwanted feedback and noise. Each pickup includes height adjusting screws and springs The Neck pickup is rated at 9K and the Bridge pickup is at a blazing HOT 16K. Pole spacing is 52mm on the bridge pickups and 50mm on the neck pickups. Colour: Gold cover w/ Black Frame Package Include: 1 Set of Guitar Pickup We manufacture all kinds of instrument parts and conduct The direct model so that our price is very low with high quality. 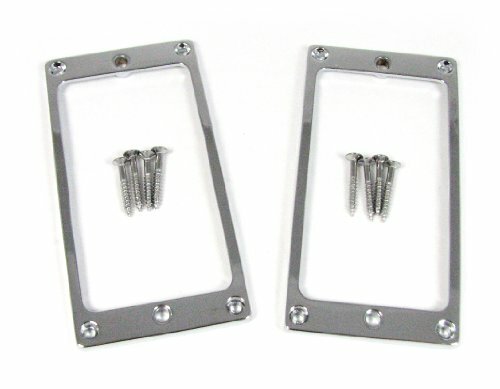 This is a set of two chrome-finish metal humbucker rings with matching screws (4 per corner), perfect for use on your special build. 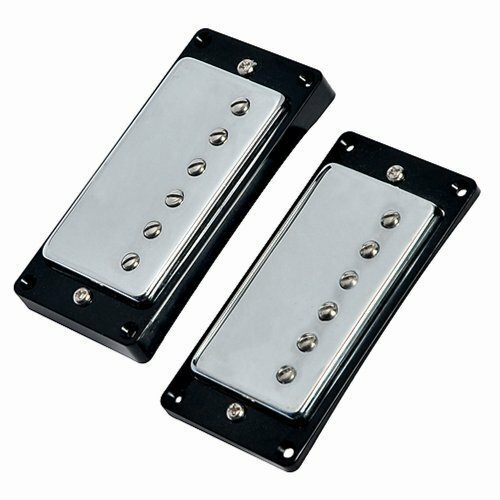 These are meant for full-size humbucker pickups and not mini-size. They are of equal height (as opposed to the neck being higher profile than the bridge) The outside dimensions of these rings is 3.5" x 1.75" (88.9mm x 44.5mm) and they are 5/32" (3.97mm) in height. The inside dimensions are 2.75" x 1.5" (69.9mm x 38.1mm). Mounting Screw Holes: Length: 3 3/16" Height: 1 1/2" Pickup Screw Holes: 3 1/8"
100percent high quality Item 100percent like the picture shown These are excellent quality pickups. Compatible with GIBSON LP EPIPHONE guitars These are deigned to duplicate that classic warm sound yet they have slightly more output to give you a bit more crunch for the punch. These are triple wax dipped and vacuum sealed to eliminate any unwanted feedback and noise. Each pickup includes height adjusting screws and springs The Neck pickup is rated at 9K and the Bridge pickup is at a blazing HOT 16K. Pole spacing is 52mm on the bridge pickups and 50mm on the neck pickups. 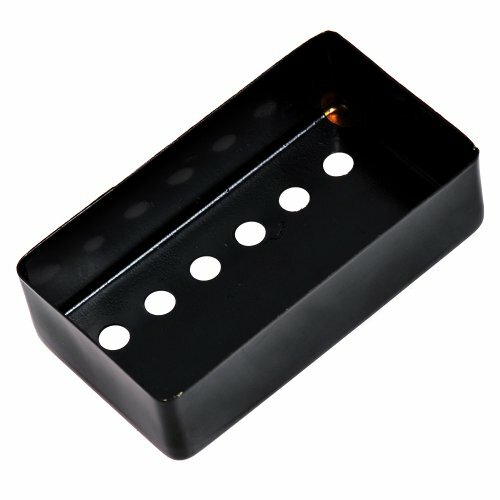 Color: chrome cover w/ Black Frame Package Include: 1 Set of Guitar Pickup We manufacture all kinds of instrument parts and conduct The direct model so that our price is very low with high quality. 100% new high quality and testing is fine Item 100% like the picture shown This is a high quality all metal . les paul neck&bridge pickup cover replacement. 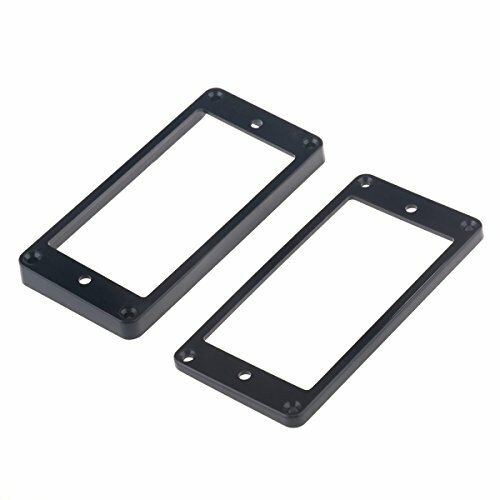 Cover Color: black size：( L )68 mm x ( W )39 mm String spacing on this is 50&52mm Package Include: 1XHumbucker neck&bridge Pickup Covers We manufacture all kinds of instrument parts and conduct The direct model so that our price is very low with high quality. 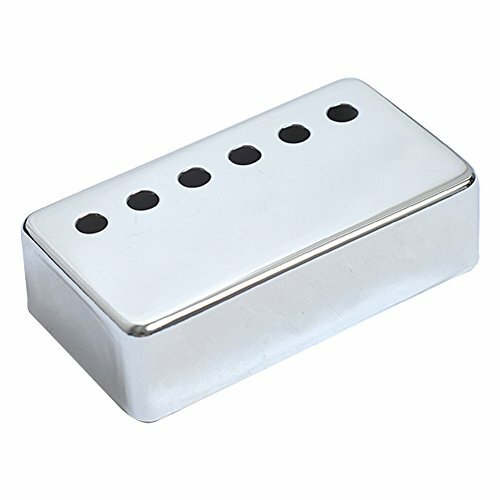 Les Paul Pickup Covers - With or Without? 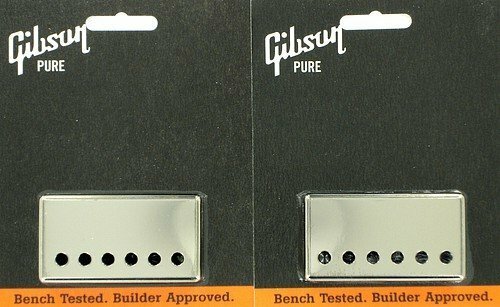 Compare prices on Gibson Pickup Cover at ShopPlanetUp.com – use promo codes and coupons for best offers and deals. We work hard to get you amazing deals and collect all available offers online and represent it in one place for the customers. Now our visitors can leverage benefits of big brands and heavy discounts available for that day and for famous brands.